New York troubadour Jeffrey Lewis brings his unique brand of quirky anti-folk classics across the Atlantic for his first gig at the Trades on Thursday August 27th. 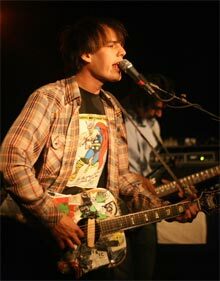 As well as being a gifted comic book artist Jeffrey Lewis is one of the funniest and perceptive songwriters on either side of the Atlantic making his name with ’12 Crass Songs’ sweetly reworking the anarchist punk band’s output for voice and guitar. His latest album ‘’Em Are I’ is a ramshackle collection of tales of romance and existential worry which regularly feature in his hugely popular Guardian podcasts. Lewis also makes subversive short films and he persuaded folk singer Will Oldham to take a trip on the subway to Williamsburg with the resulting bizarre video becoming a huge hit on You Tube. Powerful Welsh singer Amy Wadge returns to the club on Friday August 28th to promote her hotly tipped new single ‘Hold Me’ which is already getting some decent national airplay. Amy was described by Q magazine as being a ‘pint sized poetess with a valley quaking voice’ and the Cardiff based singer was part of the huge Welsh music explosion that saw the Manics, Stereophonic and Catatonia dominate the charts. Amy’s powerhouse vocals were recognised when she won Best Female Solo Artist at the Welsh Music Awards two years running beating off competition from Cerys Matthews and teen opera diva Charlotte Church. A busy weekend of music from round the world is completed on Saturday August 29th when the All Roots North Team present Kismet featuring DJS and live musicians, mixing Balkan beats, drum n bass, Latin ska, arabesque and reggae. “The visit of a genuine underground legend like Jeffrey Lewis is something we have working on for a while with new promoters Pineapple Folk so we hope people who want to see more of this sort of act will come along and be entertained by a brilliant live performer,” Trades Club Spokesperson Paul Clarke toldthe Hebden Bridge Web. 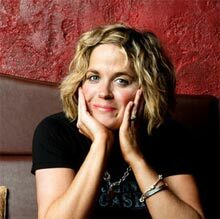 “I think its says lot about how good Amy Wadge is that the Welsh Music Awards rated her higher than Cerys and Charlotte, but she is also a superb live act who will be showcasing some fantastic new material.